Happy Monday Wyrdos! We continue to look at the upcoming Bayou Bash game. This exciting racing game has several riders, including the Waldgeist Rider! Take a look! In an event as wild and rowdy as the Bayou Bash, sometimes even the surrounding trees pine to participate. 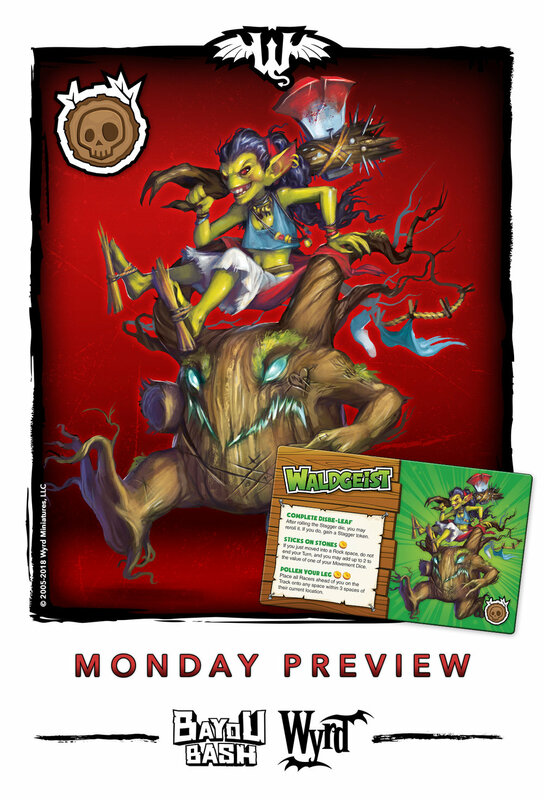 This week, the Waldgeist spruces himself up and enters the race. His jockey has an axe to grind, and luckily for her, the Waldgeist is willing to lend a hand. On the race track, this little tree with a big heart takes the slow and steady approach. Despite not being as reckless as his competitors, his ability to control how he staggers can often leaf the other racers in the dust. Check out the forums to discuss your excitement for Bayou Bash!